I am giving in on a certain area of my life. I have come to a point and I realize I just need to let go of certain expectations, unrealistic expectations I continually place on myself. I feel like I have been in a constant battle with myself that I keep losing and this only leads to feeling frustrated and disappointed. Day after day I have this unrealistic idea that I am going to magically put this 30-60 minutes in my day where I might get this incredible quiet time and I can sit down and spend time in God’s word and have personal prayer time. Every time I plan for this to happen and it doesn’t happen I become discouraged and frustrated. It feels like this magic window of time doesn’t happen…. EVER and if it does I am so completely and utterly exhausted that my mind shuts down after just a few moments and while my heart desires the quiet time my brain fails and I end up falling asleep. So while I am going through this season of busy I just need to accept that I won’t have extended periods of quiet time to feel close to God. BUT THIS IS OK! I have discovered that I don’t need extended periods of quiet time to feel close to Him! I have learned that can still feel close to God and still have time with Him even on the busiest of busy days! I just need to be creative in centering my day on Him and make sure I am keeping Him as the focus and not the opposite and not just ‘fitting Him’ into my day. 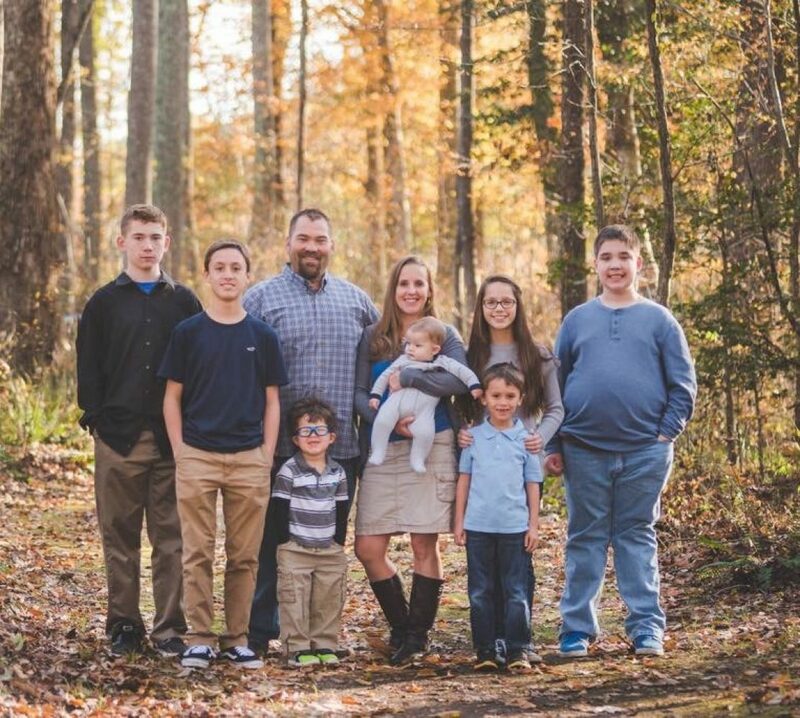 This is my season of busy, our children our young and my husband and I work full time, we are blessed with 6 children, we have my mother living with us and I am still keeping up with breastfeeding the youngest exclusively and we are active at church and play sports and we exercise regularly and frequently bottom line is —>we are a BUSY family. One day later in my life when I am in a season when things are not so busy and when our sweet little ones are no longer at home I know I will look back and miss these moments so I need to stop with my unrealistic expectations of sitting down for structured quiet time and regroup with a more realistic game plan. After some careful reflection and consideration on my last few months I feel like overall I have done a pretty good job of balancing the busy and maintaining my spiritual time as a whole. Some days are better than others and they are moments spread through each day but I do feel like I have improved and can sit back and reflectively observe where I can do better. There is ALWAYS going to be room to improve and grow. Now I am far from having this figured out but I feel like I am moving in the right direction and I am walking closer the Lord each day. -devotions with the children, especially in the mornings, I have tried several things the last few years, making them read scripture out loud, having them read our family devotional and however I approached it seemed to at one point cause argument, conflict and grumbling and after a hectic morning to get everyone in the car this was very discouraging to me so what I have been doing is not making any of them read anything, when we stop in the morning before anyone gets out I take up our family devotional and I read it to them, no arguing or complaining, if they listen and get something from it GREAT! If not then that is their choice, and most days I am walking away with something from the devotion we read. They have even started asking questions on occasion and actually seem to be enjoying this, since I stepped back and made it less forced and gave them the choice to listen and participate it is going much better. Now there are days that we are running late or time just does not allow and we don’t read but more mornings than not we are doing this—>making progress! 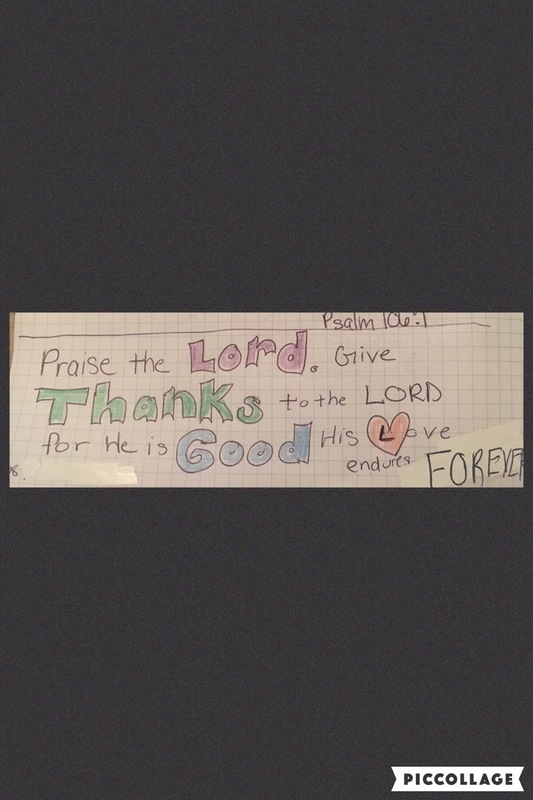 -Weekly scripture- I have been selecting a verse each week for my own personal study and memorization, I write it in my journal, put it in scripture typer and put it on note cards and post it notes to help. I have not been completely faithful each week with memorizing but have been studying them, but I have memorized more scripture this year than I have in the past, I really feel like the methods I have been using have been helping me bury God’s word in my heart —>making progress! -when I do find that have a few moments instead of instantly opening my Facebook app to see what is going on in social media I have been opening my bible app, scripture typer, devotionals and christian books. I have actually finished reading a couple of books this year which I find a HUGE accomplishment for me. Being more intentional and purposeful with these golden spare moments through my day has definately helped me keep my heart, mind and focus on the Lord—> making progress! – one of the things I have started including in my daily journal is a praise and specific thank You lifted up to the Lord for something in my day. So that even on the days when I don’t have time to write as many of my prayers and thoughts as I would like I have been dedicated in journaling thanksgiving. It is already so awesome to go back and remember exactly the way my heart felt in these moments. It has helped my heart to be more thankful each day—> making progress! 2016—>So as days turn to weeks and weeks to months I am making progress and maximizing my spiritual growth even in the busiest of busy days when I feel like my head is spinning and I want to submit to being completely overwhlemed. I am working on keeping my mind, heart and focus on the Lord. Some days I stumble and start to lose focus but we have such an Awesome and Forgiving God who shows such AMAZING GRACE! So I am not rolling over and submitting to the busy, I’m not giving up, far from it, in giving in and moving forward with this wonderfully blessed season of busy. Determined to continue to grow in my relationship with Christ and to be the best witness I can for our children and those around us. Thank You Father for this season of BUSY, for blessing us abundantly!